Content is the king and is a key for Search Engine Optimisation (SEO) and what the visitors to your page. Nowadays SEO finds its significance with the number of time a keyword is used in a particular post or webpage. The type of keywords you use, the way you use them, and where you use them impacts the overall ranking of your webpage in search engine results. In this front, a keyword density checker can be very useful. A good content that is SEO-friendly ranks high in search engines results. Thus, content is the key to SEO (Search Engine Optimisation).Now, SEO is a way to influence a website’s or webpage’s online visibility as appearing in the search engine’s unpaid results. It also means increasing the traffic of your website along with its quality. Keyword density checker is a mechanism that analyses the website or web page content and shows the keywords percentage on the web page. The beauty of the keyword density checker is to check the number of keywords and the percentage of each keyword. 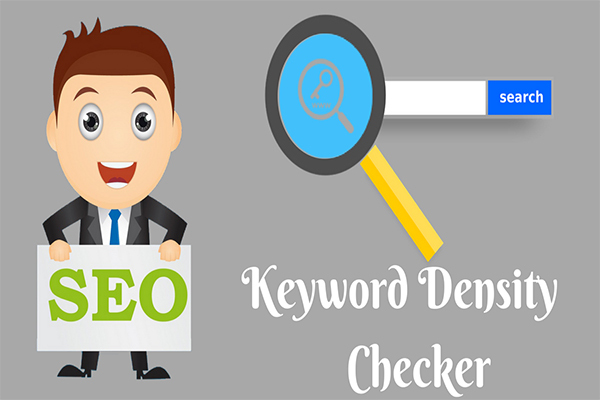 So the owner of the site identifies the more percentage keyword and make necessary changes of Keyword density in order to avoid from Google Panda algorithm It is important to use the keyword density checker in order to check the keywords are over optimized or not optimized the keyword properly. Any keyword Optimization should be in the range of 2% to 3% over a hundred words of your content. Keyword density actually plays an important key role in on page Optimization but depends on the content. In order to write optimized keyword content, you need to analyze a competitive site and use a keyword density tool to rank. One of the on-page ranking factors of SEO is content. And a good content has adequate keyword usage; neither less nor more. A keyword is a word or phrasethat readers enter into search engines to arrive at certain results. For example, say you want to search the famous book – Invisible Man but don’t remember the author. So, simply by searching by the name of the book or typing author of Ralph Ellison, you arrive at various books written by the author Ralph Ellison. This is because the “Ralph Ellison” and “Invisible Man” are relevant. Likewise, say that you own a travel website in which you list out domestic travel destinations and travel tips. Thus, using “travel”, “travel destinations in USA”, “places to visit in USA” as keywords, will partly optimise your content and help it rank better. Simply speaking, you just have to think in terms of what and how readers search for a particular topic online. As such, the type of keywords you use, the way you usethem, and where you use them impact two important aspects of your online marketing: the overall ranking of your webpage in search engine results and the costs of the marketing campaigns. Now, the question comes to what is the ideal usage of a keyword. How often should you use it? The answer lies in knowing what keyword density is to look for? In this front, a keyword density checker is used to check the number of times a particular keyword or a key phrase is used in a web-page. A keyword density checker is a tool that lets you run a keyword density analysis of any web page, whether yours or competitors. This tool helps you to refine the analysis of the keywords and their distribution within the webpage. In simple words, it is a tool that helps you ascertain the percentage of appearance of a particular keyword or key phrase as compared to a total number of words in a post or a web page. Also known as keyword frequency, the keyword density is the number of times you use a keyword in a particular web post, webpage or online content. Though there are various ways to check keyword density, the best way to check it is by using a keyword density checker tool. For instance, if for an article of 1,000 words, you use a keyword 20 times, the keyword density will be 2%. Why do we need a keyword density checker tool? Search engines run a keyword density check to determine the relevance of a content with respect to a particular keyword or key phrase. This, impacts decides the position of a website in the results of search engine. You can run a keyword density analysis of any competitor’s website to find out the best keywords. You can use these on your web page to rank better in search engine results. It also helps in checking your website’s synchronization with other top ranked websites. It can be used to determine the efficiency of a content writer. You can determine to check if they keep the content natural, lot of repetition, and keyword stuffing. However, overtime, the importance of keyword density has changed in most of the search engine ranking algorithms. So use a keyword density checker to optimize your website’s content and rank better in the search engine results. You can also calculate keyword density manually by dividing the number of times a keyword is used by the total word count of the page. So, what is the right keyword density? What is the right keyword density? There is no rule for the keyword density. Neither Google nor any statistics answer this tell how often should a keyword be used to rank high in your page. However, this doesn’t mean that you can use your keyword so extensively that it affects the quality of your content. Read about keyword stuffing to get a clear idea. When SEO was still picking up, website owners used a technique called “keyword stuffing” to optimise their content and push it among the high ranking search engine results. Keyword stuffingmeans to cram as many keywords or key phrases as possible on your content. Keyword cramming worked effortlessly and very well back then since Google’s algorithms were not very sophisticated and so couldn’t interpret that keyword-stuffed webpages were cheap tricks of pushing a webpage higher in the search engine result pages. However, today Google has smartened its search algorithms that can detect keyword cramming and penalises any website that employs it. Even so, the algorithms are still a secret. This is mainly because keyword stuffing impacts the quality of your content and hence, makes the readers feel like they are reading forced and unnatural content, which can be really bad for your traffic. So much so that the desired SEO results may turn upside down. Therefore, it is very important to keep the content simple, straight, and relevant. Though keywords are an important part of a content, unnatural cramming of the same can drive your traffic away in no time. As a website owner, your main aim should be to attract traffic, retain what is existing, and add more to it. This is only possible when you maintain quality content so that readers want to keep coming back for more. So, use various SEO tools to find out the keyword density especially suitable for you. Then use a keyword density checker to optimise your website’s content and rank better in the search engine results. 1) It helps to optimize your respective keywords over the content without spamming. 2) The tool displays the list of keywords percentage so the user can analyze keyword density and make changes accordingly. 3) The tool helps to look only relevant keywords used on the content for better indexing and keyword ranking on search engines. To know how to use the tool, just enter the website URL in the box and click the submit button. You will receive a list of keywords percentage of your web page or website.